The CCU is the heart of your installation. This electrical cabinet centralises the photovoltaic panel production data and the dwelling’s consumption data. The all-in-one electrical cabinet includes the AC protection for the photovoltaic field and the production and consumption meters. The MYL 2.0 software coordinates and controls your energy. Once the MyLight system is installed, your software is configured to display the trend chart for your savings. > the performances of your installation: the share of your global electricity consumption covered by your photovoltaic production. > triggering the automatic GreenPlay mode: using the weather forecast, the smart algorithms anticipate the photovoltaic production and trigger your electrical equipment at the most cost-saving moment. > benefit from the Machine Learning technology which learns your habits for even more savings. See your trend chart in real time on the MYL 2.0 app. Download the new version from the App Store or Google Play. 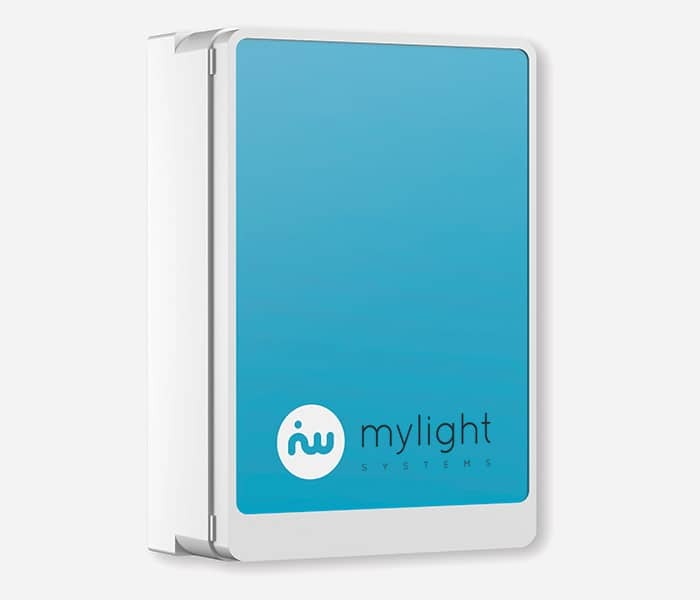 To save even more energy, MyLight Systems offers a heating management solution. 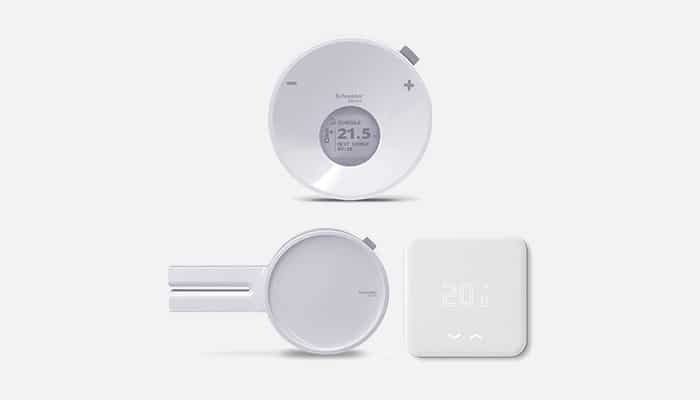 The connected thermostat activates your heating and controls the temperature in your house. During the day, the heating comes on when you produce solar energy. The inertia means that you come home to a house at the ideal temperature. 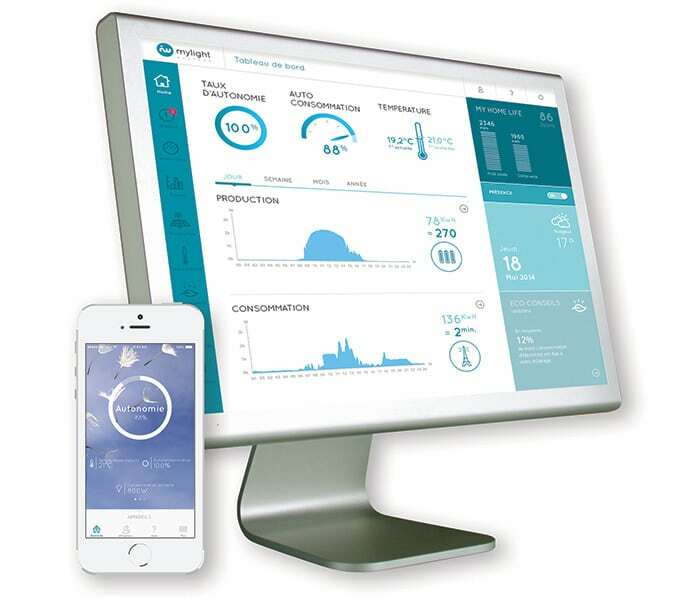 Just like your electrical equipment, you can manage your heating remotely using the MYL 2.0 software. 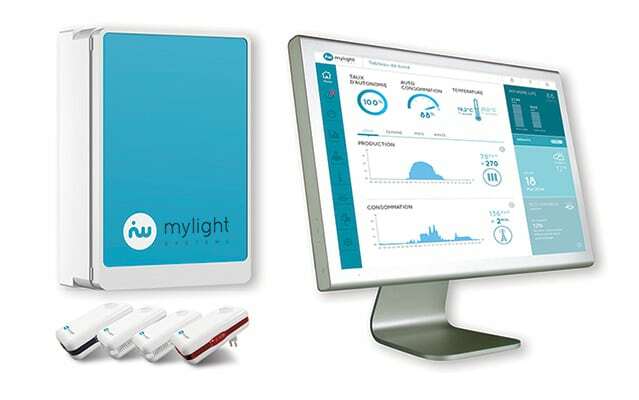 The MyLight system uses smart plugs to collect the consumption data of electrical equipment fitted with smartplugs. 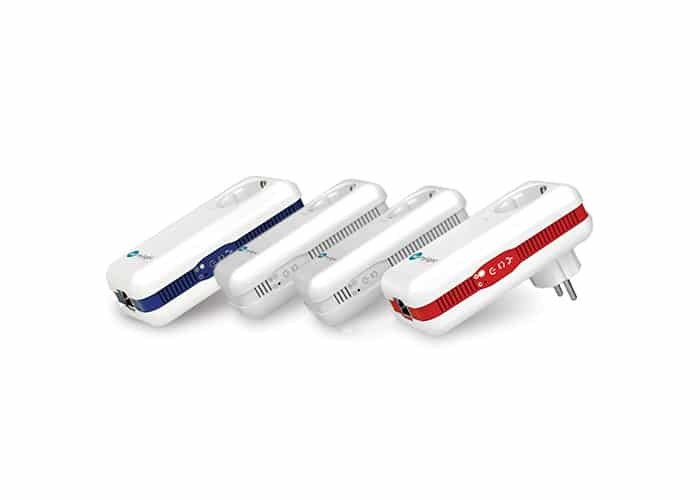 You can therefore control them remotely and programme their operation.